In this month’s Meet The Staff, we introduce you to Emily Gross. Emily started at Diamond Creek a year and a half ago as a foaling intern, and is now working as our overnight foal watch during the season and in the barn on the off season. Her favorite part of the year is foaling out mares and helping the new foals figure out life. 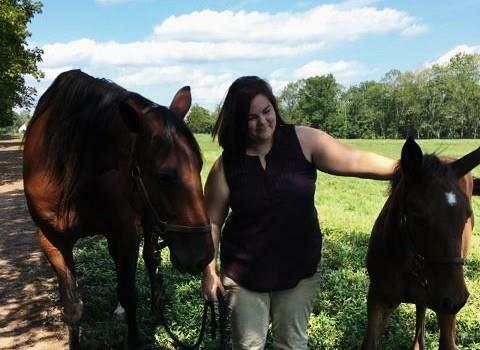 Emily went to Delaware Valley University, where she first fell in love with Standardbreds. 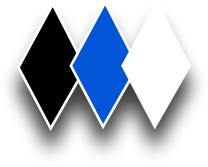 She has also attended the USTA driving school, and worked for a few different farms before coming to Diamond Creek. A typical night for her starts around 9 pm, when she starts her shift. Throughout the night she monitors the pregnant mares inside the barn and watches for signs of foaling. When they break water, she assists with the delivery, and then helps with all the post foaling care for both mare and foal, making sure the foal nurses, stands and so on. In the morning, she feeds the mares inside, administers medication if needed and checks on all the foals, before leaving to get some sleep. Emily is originally from North Wales, Pa and currently lives on the farm with her cat Tiberius. She wants to go scuba diving one day and revisit Greece. Emily likes statistics and numbers so for fun she likes to use excel to track and chart things like foaling dates and yearling averages. Emily loves all animals and her favorite mares at the farm include Monkeys Can Sing and Muscle Amour.